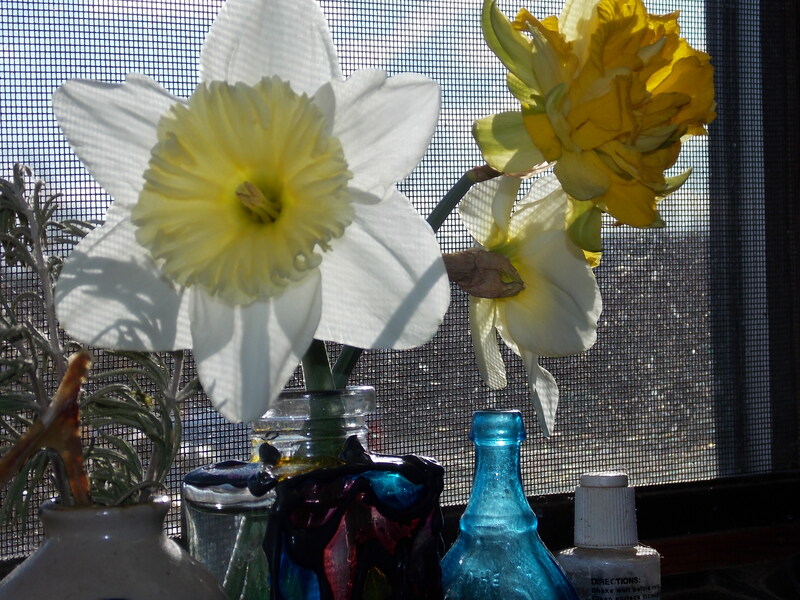 “I think,” wrote our youngest daughter, “about a quarter of doing well at this eating/working out/being a healthy person thing seems to be tricking myself into thinking something.” At least. Hiding food where we can’t see it, smaller plates, moving to another room — away from the temptation — taking a shower or brushing our teeth when we feel the urge to splurge. They’re all a form of self-hypnosis, tricking ourselves into thinking something. The only way I made it home on Wednesday’s walk (I’m trying to walk a little farther every time) was to tell myself I would walk from one house to another without stopping and that at every house, I’d get another slug of water. 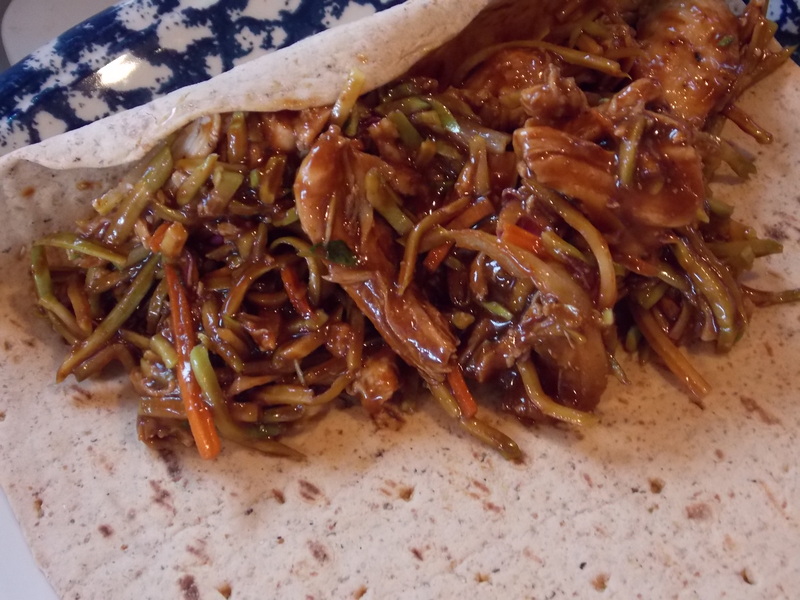 Kitchen goddess and oldest daughter Joanna found this recipe for Mu Shu Chicken Wraps which a) includes easy instructions for the best crock pot chicken ever; b) tastes great, and c) is healthy. I have a special place in my taste memory for mu shu anything — Mu Shu Pork was the first dish I ordered in a restaurant when I moved to Palo Alto for a year. I’d never before had that particular combination of sweet and spicy, and I was hooked immediately. Who knew it was this easy to make it at home? Place onion in slow cooker. Season chicken with salt and pepper, place it on top of onions and — the directions say 4 to 5 hours on Low, but mine was done in fewer than 3. This is the secret to great slow-cooker chicken: Do not leave it, but check it for done-ness when it looks done. My slow cooker has a glass lid, and my chicken looked finished somewhere between 2 and 3 hours. It was perfect and doesn’t have the texture of a running shoe sole. Drain chicken and onions. Transfer to fairly large bowl and shred chicken. In another, small, bowl mix together hoisin sauce, honey and ginger, then stir into shredded chicken and onion. Add broccoli slaw here and toss or put slaw and chicken mixture separately into wrap. Makes 8 rolls (4 ounces of chicken is around 190 calories; my wrap was 90 and 1 tablespoon hoisin sauce is 35). Pretty good and pretty filling. 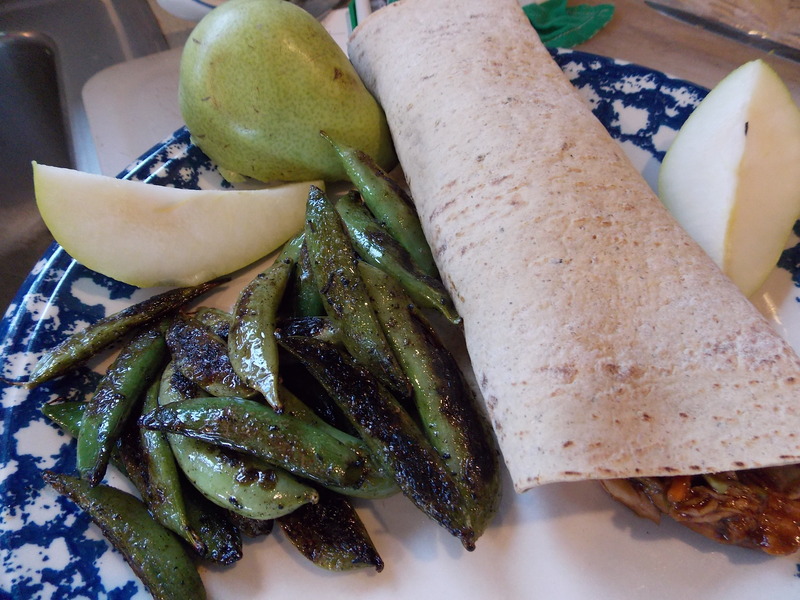 Don’t you feel healthier just SEEING the wrap with broccoli, sauteed sugar snaps and baby pear? WILL try this next week! Mu Shu is one of my favorite dishes! I’m also trying some of your other tips for tricking my mind, but I’m afraid nothing will help until I break my addiction to the iPad and get some exercise. Soon. Every time I walk,I’m making myself go “to the next driveway.” It doesn’t matter HOW LONG it takes me as long as I do it. Good luck. It is not easy. We’re having Mu Shu pork tonight. For the record, 2 lbs of pork is a lot! I forgot to get wraps at the HT and the four flour tortillas I had have dried to leather. So we’ll have rice. But my teeny weeny taste says these are delicious. And very easy. I’m partial to Lee Kum Kee hoisin sauce.